Christian pullover hooded hoodie sweatshirt If you miss heaven what in hell will you do? Home/Our HoneVille.com Store/Christian Designs /Christian Designs page 2 /Christian Designs Page 3 /Christian Designs page 4 /Christian shirt If you miss heaven what in hell will you do? /Christian pullover hooded hoodie sweatshirt If you miss heaven what in hell will you do? Home/Our HoneVille.com Store/Christian Designs /Christian Designs Page 3 /Christian Designs page 4 /Christian shirt If you miss heaven what in hell will you do? /Christian pullover hooded hoodie sweatshirt If you miss heaven what in hell will you do? 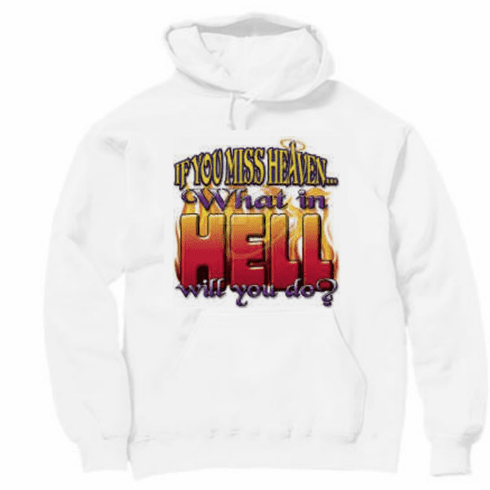 Home/Our HoneVille.com Store/Christian Designs /Christian Designs page 4 /Christian shirt If you miss heaven what in hell will you do? /Christian pullover hooded hoodie sweatshirt If you miss heaven what in hell will you do?